I love facials, do you? I don’t always have the time to head on over to the spa for a facial. Even though, they are so amazing…when they are done correctly, like a head massage, arm and hand massage and well the décolletage. However, sometimes I don’t always have time to head on over to my fave spa to be pampered, so I will perform this mini facial to ensure my skin is still receiving it’s best care. If this is you also, you may want to try my tips, so even if you don’t have the time to hit the spa, you can still maintain fabulous skin. This at home facial is also very good for Fall and Winter, when skin becomes dehydrating. When we need to restore the glow, which is the radiance that stems from healthy, hydrated skin. Follow my steps below! Cleanse: Cleansing your skin preps your skin for the upcoming steps in skincare. When you cleanse your skin, it opens your pores and washes your skin. I will use a milk cleanser. Instead of using a toner, to which I don’t like using, I will use a mist. Since, I’ve using OSEA in a lot of my products, lately, I will use this mist to restore hydration. Another nice mist is from The Face Shop from the bamboo collection. For the next steps, I will either use all of these steps or one or two of them for the mini facial. Mask: I like to use this face mask that I had recently bought from Sephora. This mask is created from a company that is designed for sensitive skin. It’s called REN. This particular line is strictly for those who have dehydrated skin and sensitive skin. In addition, this REN Evercalm Ultra Comforting Rescue Mask, reduces redness, irritation, itchiness, and inflammation. I don’t have rosacea, but if it’s designed to reduce redness, that would mean it’s excellent for those who have rosacea. Sheet Mask: After I have applied my face mask, I will move onto a sheet mask. Sheet masks contain serum. So, after I have removed my mask sheet, I will then rub and massage the serum into my pores. I like to use a serum, essential oil before moisturizing, since I’ve been using OSEA. Moisturize: Once the serum has been rubbed and massaged into my pores, I will then apply my moisturizer. I`m currently using one from Caudalie for sensitive skin and dehydrated skin. However, you can use your fave moisturizer that you trust will do the job of what you want it to do. Eye Cream: I like to apply my eye cream right on top of my cheekbones. It naturally slides upward to my under eye. If I applied my eye cream right under my eye, from my experience in the past, is that my eye cream slides upward so much that the cream wants to enter into my eyes. That is so not good. When that had happened, I had to change my strategy. Sometimes, I will incorporate two other steps; lip mask and eye mask, instead of my eye cream. 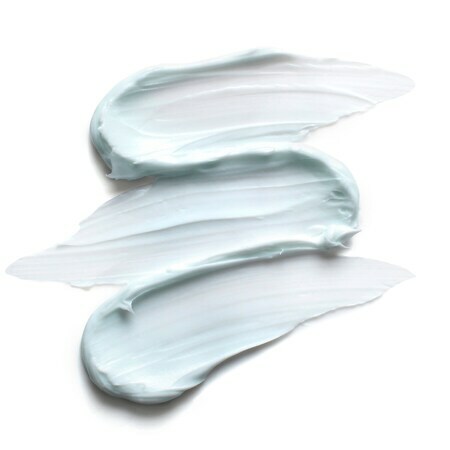 Tip: Any skincare product that is hydrating, is also considered anti-aging. Well, my beauties, there you have it. My steps to a DIY mini facial. I generally use this depending, every other week, or as often as I need it.